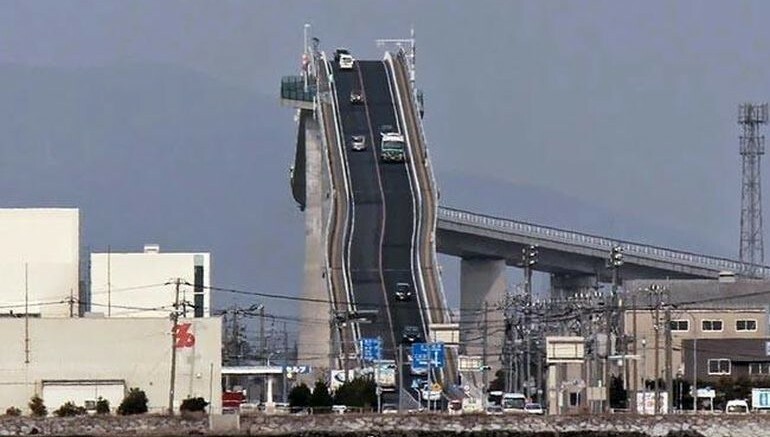 Forget roller coasters! 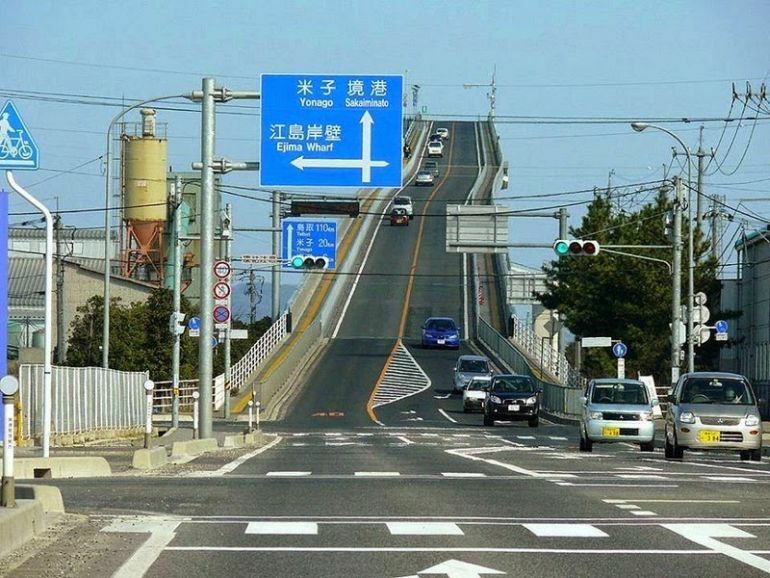 This incredibly steep bridge, in Japan, is enough to make you dizzy. 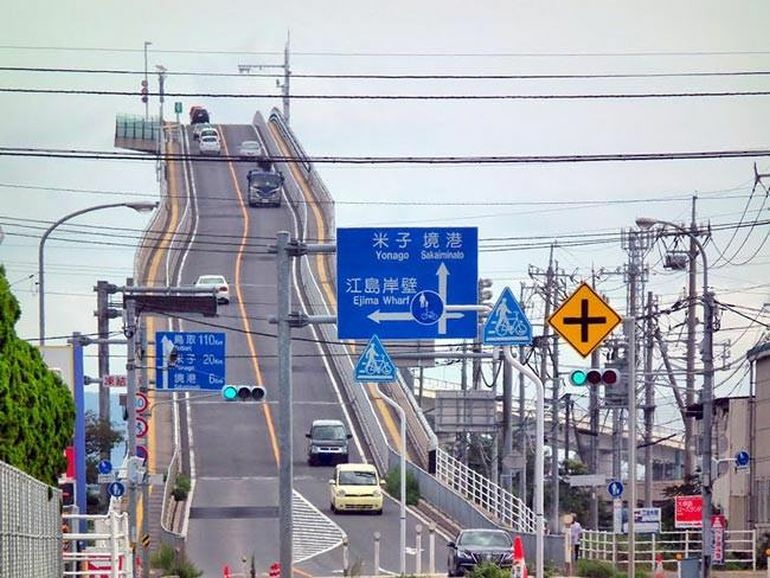 Located along the banks of Lake Nakaumi, the Eshima Ohashi bridge acts as a connecting link between Matsue, a city in Shimane Prefecture, and Sakaiminato, in the Tottori Prefecture. 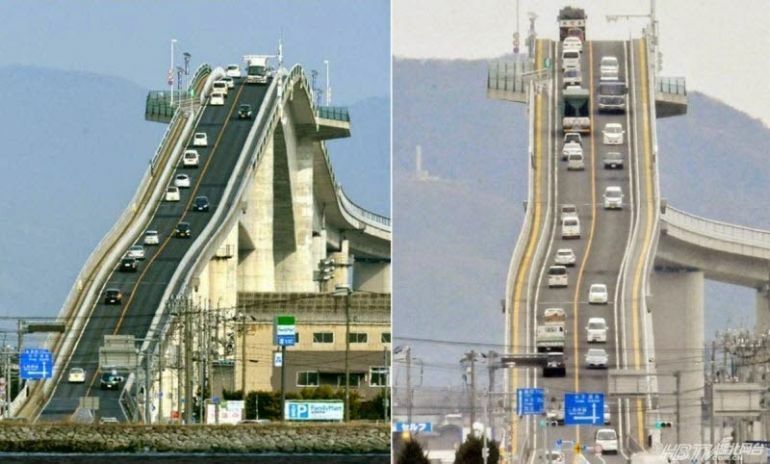 About a mile long, it looks more like an ‘elevator to heaven’ than a roadway for vehicles to drive on. 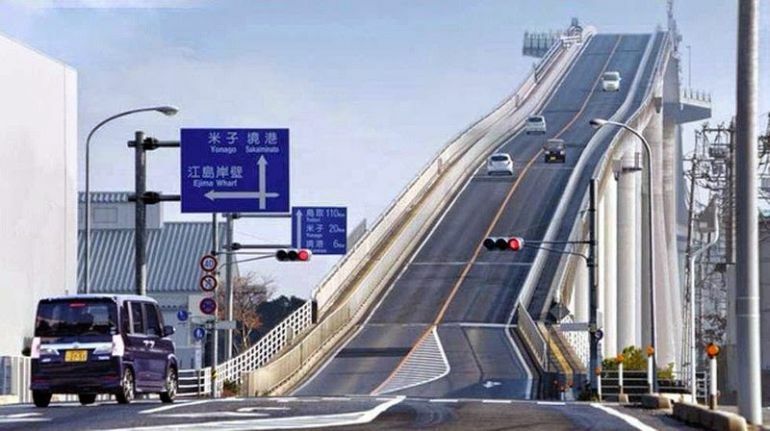 Rising up to 44 metres in height, the structure is currently the world’s third largest rigid-frame bridge. 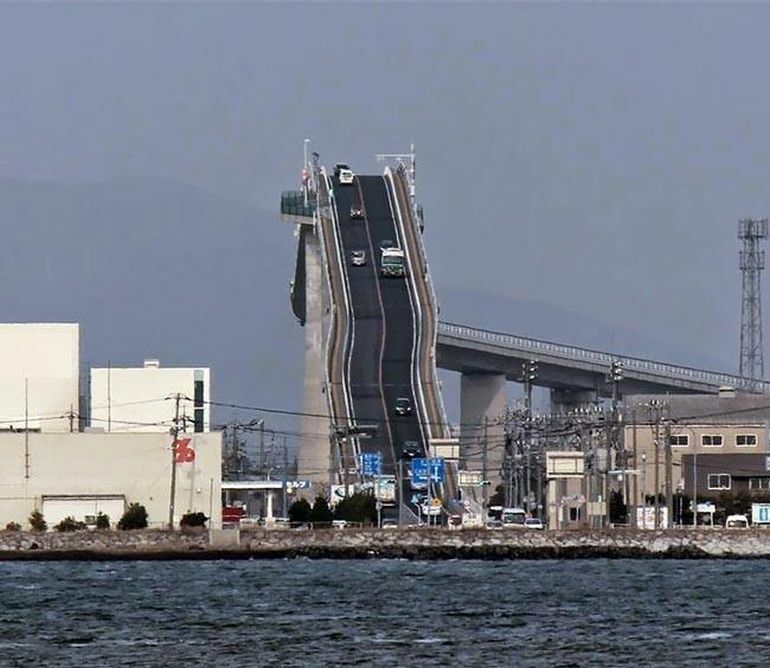 Although scary at first sight, the bridge is, in truth, a breeze to drive on, all thanks to the wonders of civil engineering. 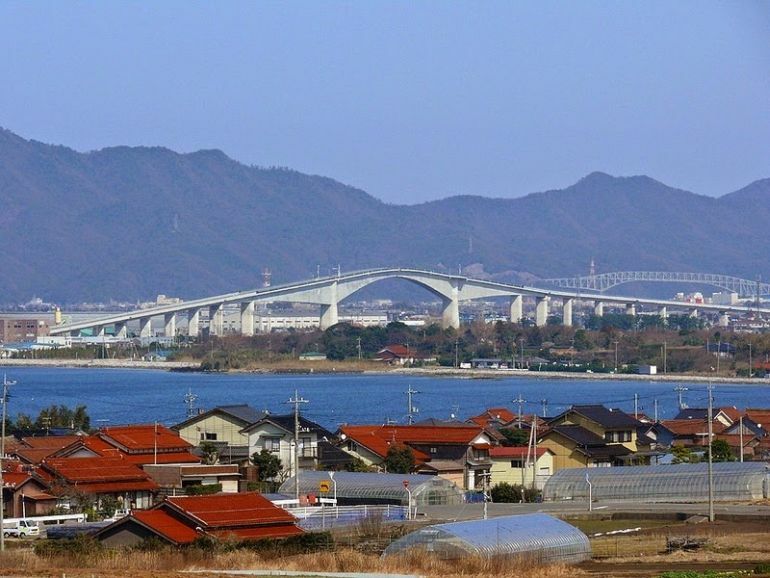 Its gradient, on the Shimane Prefecture side, is around 6.1-percent, while that on the Tottori Prefecture end is 5.1-percent. 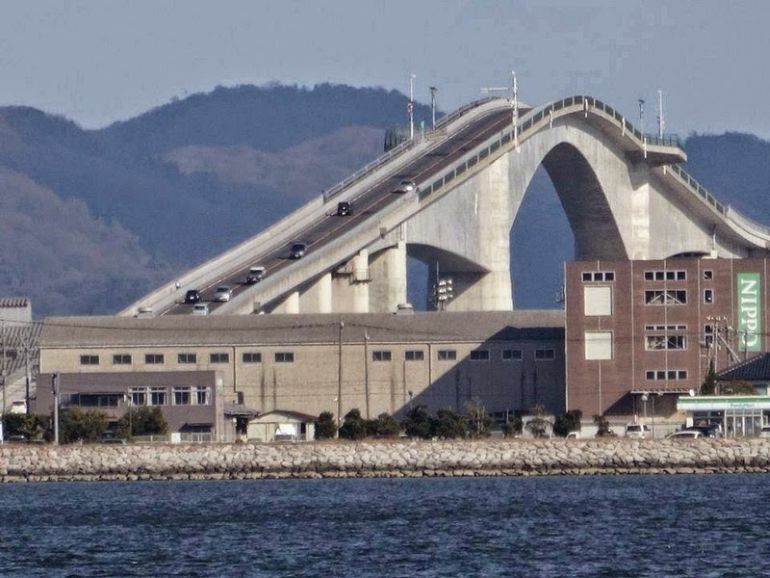 The Eshima Ohashi bridge was recently used as the location for a Daihatsu Motor commercial.